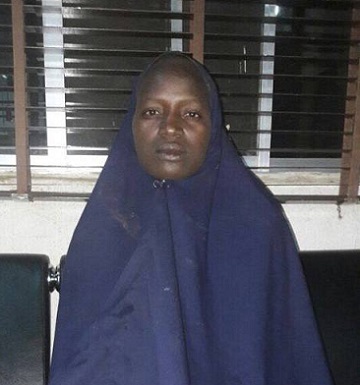 A Chibok community leader, Pogu Bitrus by name has disowned the second purported Chibok girl rescued yesterday by the Nigerian troop. The girl's name given as Serah Luka is not one of the 218 students of the Government Girls College Chibok who were abducted by Boko Haram members on April 14th 2014, the Associated Press reports. Army spokesman Col. Sani Kukasheka Usman in a statement he released yesterday announcing her rescue, said Sarah is number 157 on the list of 218 missing Chibok school girls However, this seem not to be correct as a Chibok community leader Pogu Bitrus told The Associated Press that Number 157 on their list had a different name. According to the report, the list has two other young women sharing the surname given by the military and the rescued girl may have been visiting older sisters at the school the night of the kidnapping.